KPMG’s 9th Annual Automotive Executive Forum at the LA Auto Show, hosted by the KPMG U.S. Manufacturing Institute Automotive Center, took place November 28-29 in Los Angeles. It brought together over 250 of the top academic minds and industry luminaries across the automotive and transportation ecosystem to debate and discuss the biggest opportunities and challenges impacting the future of the industry. The automotive and transportation industries are on the cusp of revolutionary change from the competitive landscape to how we interact with vehicles. The timing may be faster than you think! For a recap on each session, please click on the session titles below. Gary Silberg, The Americas Head of Automotive, KPMG in the U.S.
George Blankenship, Former Executive at Tesla Motors, Apple Computer and GAP Inc.
Moderator: Brian Heckler, National Sector Leader for Industrial Manufacturing, KPMG in the U.S.
Moderator: Danny Le, Principal, Cyber Security, KPMG in the U.S.
Mike Krajecki, Director, Emerging Technology Risk, KPMG in the U.S.
Moderator: Manuel Goncalves, Executive Director, Corporate Communications, KPMG in the U.S.
Moderator: Constance Hunter, Chief Economist, KPMG in the U.S.
Vicki Poponi, Vice President of Auto Sales Operations, American Honda Motor Co., Inc.
Moderator: Tom Mayor, National Strategy Leader, Industrial Manufacturing, KPMG in the U.S.
Todd Dubner, Principal, Strategy, KPMG in the U.S.
Bala Lakshman, Managing Director, Strategy, KPMG in the U.S.
Katherine Black, Principal, Strategy, KPMG in the U.S.
Emmanuele Spera, CEO, NEXT Future Transportation Inc.
Chang Yuan, Cofounder & CEO, Foresight AI Inc.
Moderator: Ted Hamer, Managing Director, Global Infrastructure, KPMG in the U.S.
Moderator: Brock Solano, Director, People and Change, KPMG in the U.S.
Vice President, Auto Sales Operations, American Honda Motor Co. Inc.
CEO, NEXT Future Transportation Inc. The mobility revolution we’re experiencing today is changing the way consumers are using transportation. What were the most pressing issues at last year’s LA Auto Show? 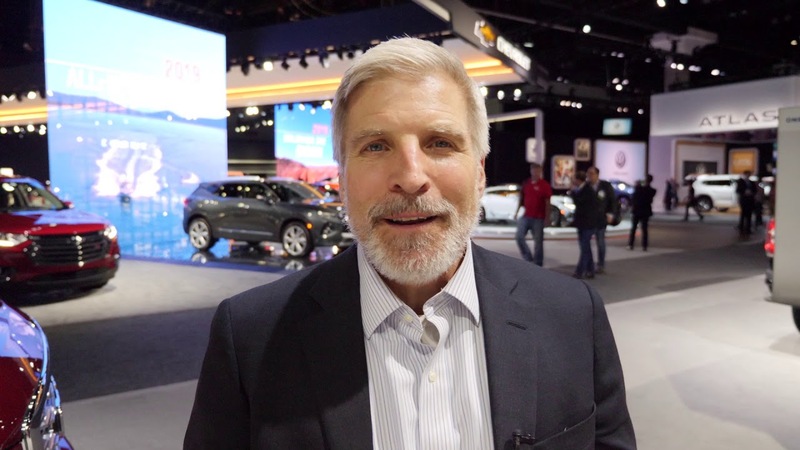 Hear from KPMG’s Brian Heckler on all of the latest trends and themes being discussed at the 2018 LA Auto Show. How will autonomous vehicles evolve in 2019? Hear KPMG’s Gary Silberg thoughts on how he sees autonomous vehicles evolving in 2019. Listen to KPMG’s Gary Silberg as he discusses how autonomy is going to impact our infrastructure in the future. Hear KPMG’s Gary Silberg share his thoughts on how autonomous delivery will impact consumer behavior and shopping trends. Listen to KPMG’s Gary Silberg talk about what the future of car ownership will look like with the evolution of autonomous delivery. KPMG’s Brian Heckler shares his ideas about where he sees future autonomous vehicle regulation evolving.